The supposed “Constitutional fight” for justice in the “Unconstitutional ousting” of the aforementioned Chief Justice has now switched places. It is disturbingly disappointing that the side that supports Sereno took such illegal methods in order to bribe her stay in power. It’s also funny, how the Court is outsmarting the Supreme Court’s opposition by considering the fact that they are aware that Sereno and her supporters are “fishing for support for their claim of bias and other similar reasons that would negatively portray the court’s ruling”. This silenced Sereno and had her focusing more on her motion for reconsideration and the SHOW CAUSE that the Court demanded of her knowing that if ousting was possible then so will be the penalties if she doesn’t stop yapping. Even Senator Panfilo Lacson knew this Senate Resolution was made too early since they have no power in this case where the articles of impeachment didn’t reach their legislation. 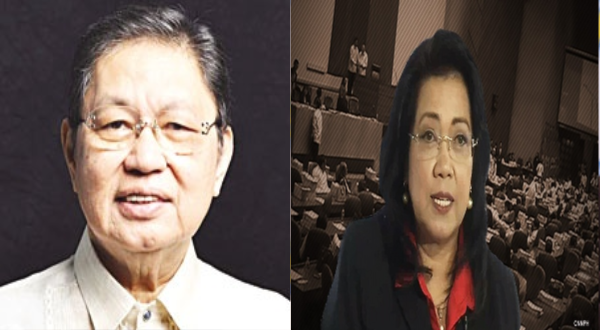 “The opposition at the House has not shown so far the political strength sufficient to carry an impeachment complaint to successful fruition,” as Brion mentioned. Now back to the two points that left me astoundingly disappointed at the Supreme Court’s opposition, Sereno’s side, in which they tried to bribe justice and that Sereno’s funds seem to be overflowing due to a source unknown. On the first point that the former SC Justice revealed was the shocking one yet it will leave you wondering why didn’t Sereno win right? “They are not strangers, too, to those who wish to influence their decisions, whether these would-be fixers, be the cajoling, gift-giving, pressuring, praying, or the threatening kinds,” Brion stated. On the second point, now this got me edging on my seat for more, where did Sereno get such sizable funds? But one thing’s sure about it, with such media coverage and political movement, a number of personalities will surely want to sponsor this for their personal agendas. But we are all left with the question of specifically who would?